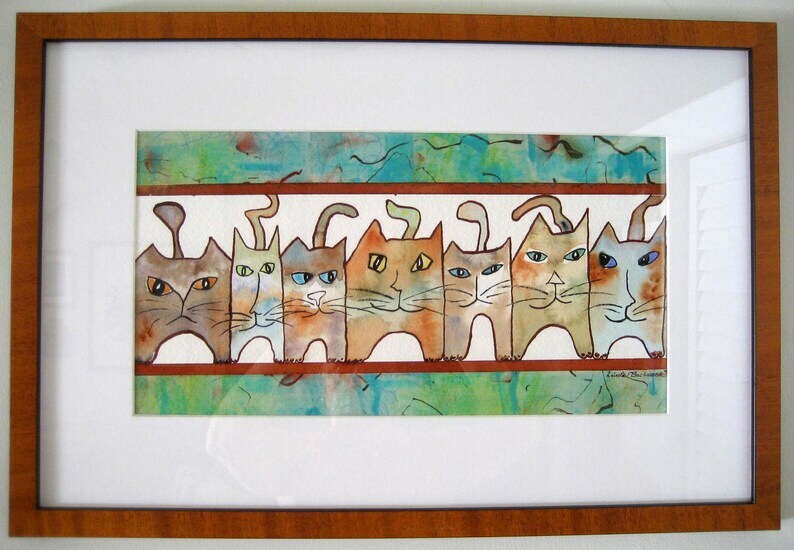 Uptown Cats is an original watercolor and collage on Arches 300# paper. It measures 15.5" x 8.25". This piece was juried into the Hawaii Watercolor Society Open Exhibition in October 2010, and is available unframed. The frame shown here is just a suggestion. The prominent colors are aqua and red earth tones. It will be shipped flat or in a mailing tube, whichever works best, to get it to you in perfect condition.